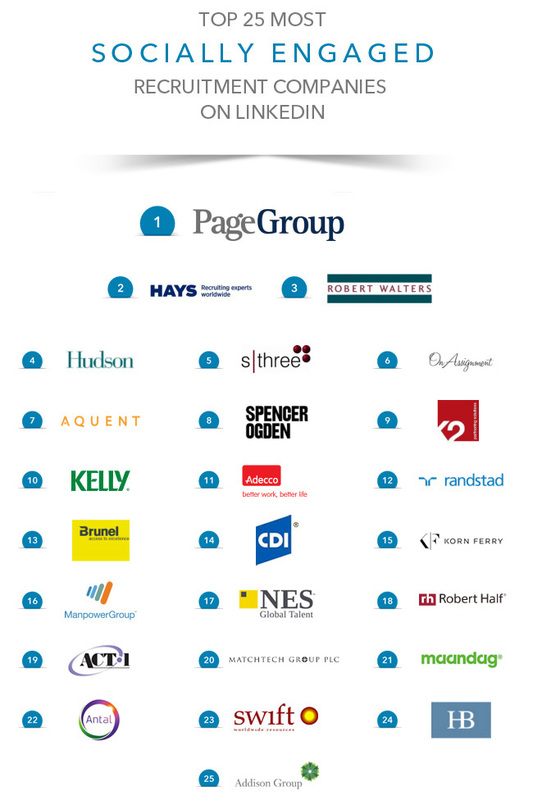 We are excited to be in the Top 25 most socially engaged companies in the recruitment industry on LinkedIn. To come up with the rankings, LinkedIn team looked at a range of metrics including social reach, employee engagement and interactions, talent brand and content marketing power on LinkedIn. Antal followers, our employee activity and use of company status updates were key factors in driving social engagement. We live by our corporate motto –“Sharing information, knowledge and experience….for the benefit of clients, candidates and colleagues.” As a leader in global recruitment business we realise the benefits of adopting social media and therefore make the best use of social media to keep our clients, candidates and colleagues engaged by sharing information, knowledge and experience.